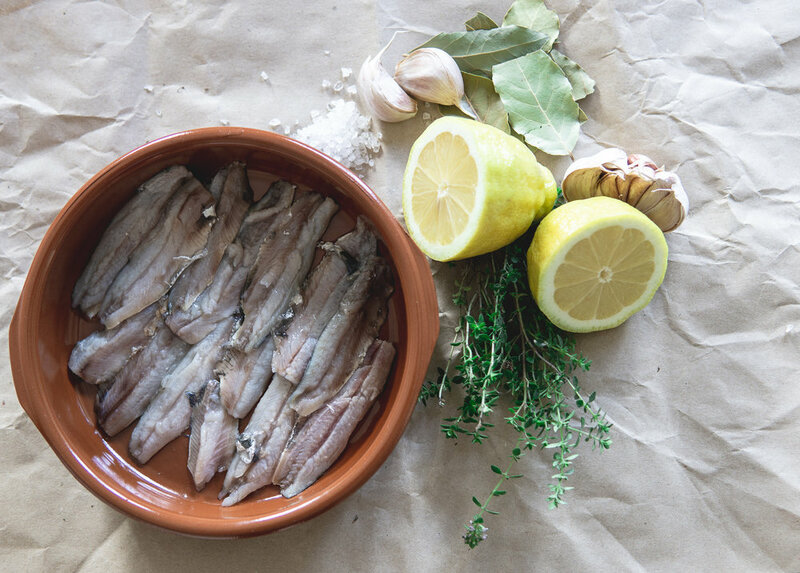 During my time in Spain and Portugal I developed a love of these little silvery-blue fish, and I’d regularly buy them at the fish markets and experiment cooking them different ways. One of my favourites was simply curing them in lemon juice and garlic. 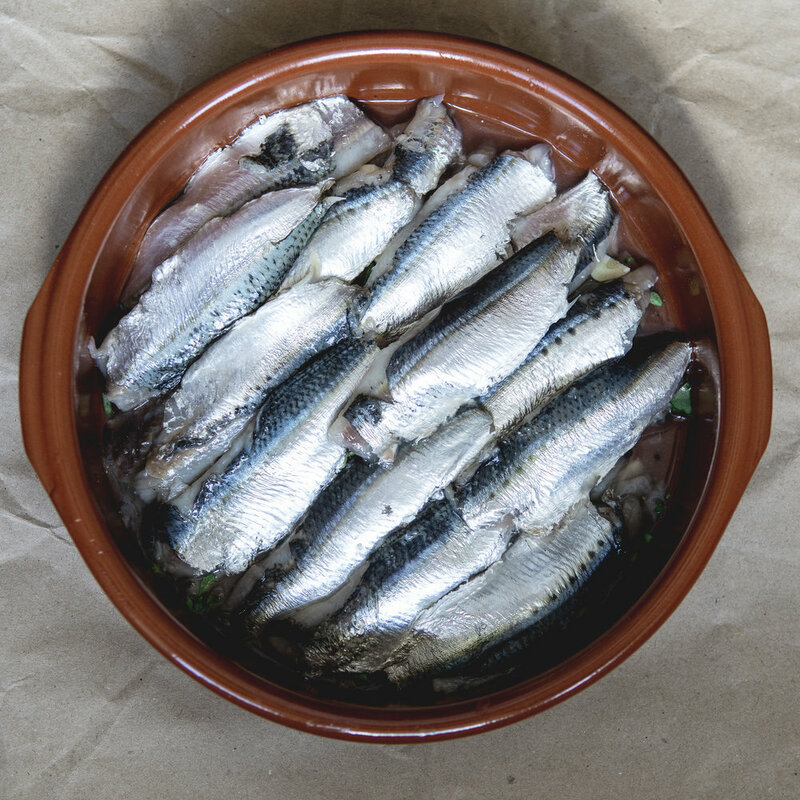 Sardines go perfectly with anything acidic, like lemon juice or vinegar, which help cut through the oily texture. Fresh herbs and garlic add beautiful aroma. 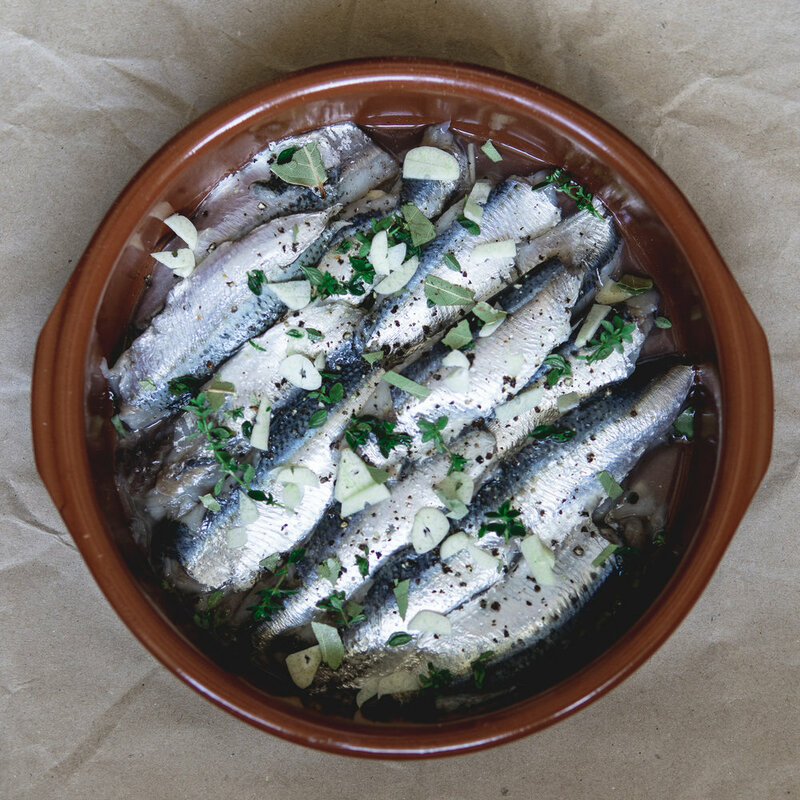 This particular cured/marinated sardines recipe is French, originating in Marseilles, on the Mediterranean Sea. Scale and clean the sardines. Fillet the fish and rinse well in cold water. (See my post on the easiest way to fillet sardines). Lay the sardine fillets in a non-reactive dish and cover completely with the vinegar. Leave for five minutes until the flesh turns pale (it’s cooking!). Drain vinegar off. Layer the fillets in a new dish. For each layer, season with salt and pepper, sprinkle with herbs, garlic, and a drizzle of lemon juice. Continue to layer and repeat this process until all of the fillets and ingredients have been used. Cover the fillets completely with olive oil, and cover and put in the fridge to marinate. After a couple of hours (or ever better, overnight) it’s ready to serve. 6. Serve with the olive oil from the marinating dish, and garnish with lemon zest, chopped parsley and an extra wedge of lemon. Goes perfectly with crusty rye bread.